Get in on the action with the highly detailed Power Rangers Super Ninja Steel 5-inch action heroes! 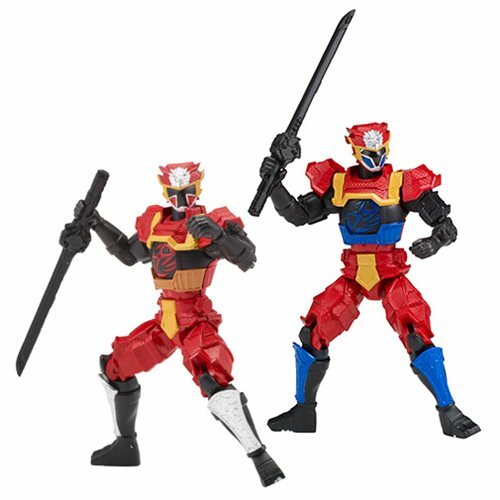 Each figure features sleek Super Ninja Steel style, as seen in the TV series, making it stand out from the rest of the pack! Crafted with great detail and quality, each figure has multiple points of articulation, and also includes a unique battle gear item. Each figure can also pilot the Deluxe Megazord (sold separately) into battle from a cockpit in the Megazord's chest!